MARTIN⠀WILHELMSince 2010 Martin has been working as Managing Director of Citizens For Europe (CFE), which he founded in 2009. Starting as an activist organization, he developed CFE into today’s social business and civil society organization, operating across Europe. Today, Martin drives the strategic, personnel, financial and thematic development of CFE with a focus on inclusive leadership, diversity and impact. Born in Rostock he went to high school near Hamburg and completed his M.A. in macroeconomics, political and communication science in 2006 with residences in Sweden and Serbia. From 2004 – 2008 he worked for public and private international originations such as the Goethe Institute, German Development Agency and European Movement, with long-term residences in France and Serbia. In 2008 he moved to Berlin working for a private foundation. 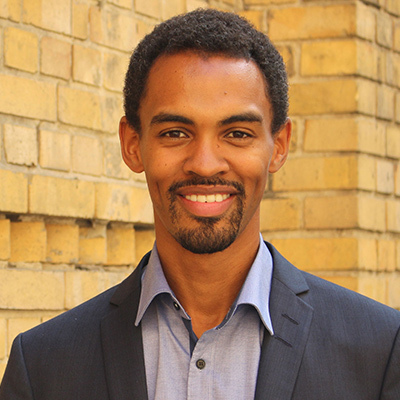 DANIEL⠀GYAMERAHDaniel leads the Vielfalt entscheidet – Diversity in Leadership team and the portfolio on diversity, antidiscrimination and inclusive leadership. His key responsibilities are steering the applied research and advocacy work. He supervised the conceptualisation, implementation and dissemination of a pilot study on diversity among executive personnel in Berlin’s public administration. For the first time in a German context, the study collected differentiated anti-discrimination and equality data along all dimensions of the General Equal Treatment Act. He is passionate about crafting inclusive policies, the establishment of community networks and the institutionalization of their empowerment. 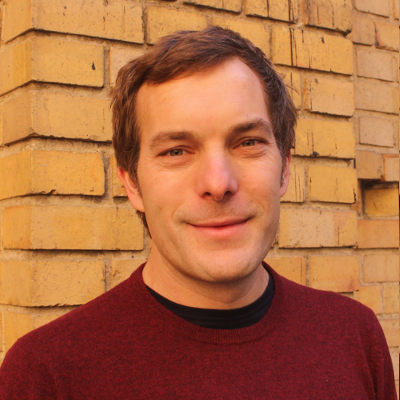 Daniel is a founding board member of the neue deutsche organisationen (ndo) and serves as the chairman of Each One Teach One (EOTO). His publications cover inclusion in the public, cultural and educational sector. Daniel was a Teach First Deutschland Fellow and he is a member of the Transatlantic Inclusion Leaders Network (TILN). His work has been covered on national television and major news outlets. Daniel holds a B.A. in Politics and Administration from the University of Constance and an MPP from the Hertie School of Governance. Head of Division "Advocating for Inclusion"
SÉVERINE⠀LENGLET Séverine has been managing our Multi-Channel Press and Public Relations since November 2015, using her writing, video, design and photography skills to create multimedia formats that promote our organisation and projects. She is also involved in the strategic decisions of our division "Empowering Civil Society and Strengthening Solidarity across Europe” as well as in designing and implementing transnational Multi-Stakeholders’ cooperation and projects. Séverine holds a M.A. in Journalism, a Bachelor in Education Sciences, a certificate as EU Media Trainer and a two-year university degree in foreign languages applied to Politics, Economics and Law. She grew up in Brittany (France) and has been living in Berlin since October 2006. After her studies in 2004, she worked as a journalist and camerawoman for various mainstream TV channels and print media from Guadeloupe (Caribbean), France and Germany. In 2010, she volunteered for Video Volunteers’ Community News Service India Unheard. This experience changed her life and she decided to dedicate her communication and filmmaking skills to civil society organisations engaged in social and political change. She started to give media trainings to civil society actors and activists, and produced videos all over the world for foundations and non-profits such as Misereor, SOS Children's Villages and European Alternatives where she is still engaged today. Head of Division "Empowering Civil Society"
LUCIENNE⠀WAGNERLucienne is a Senior Research Scientist for Vielfalt entscheidet – Diversity in Leadership. She focuses on intersectional analyses across all forms of discrimination combining quantitative data collection and qualitative insights in mechanisms of exclusion. 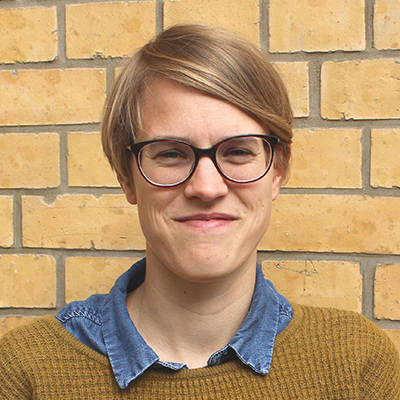 Lucienne’s expertise was crucial in developing VE’s equality data collection instrument and she co-authored its first-ever application in Berlin’s public administration. Her findings and insights are reflected in various keynotes and workshops. 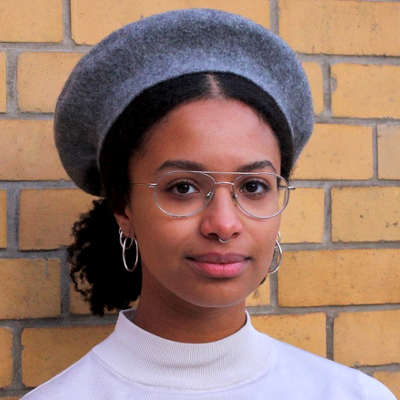 Lucienne is also a PhD candidate for gender and critical diversity politics in higher education with Prof. Dr. Ina Kerner, which builds upon her prior research at the University of California on "Working from both ends: Intersectional and Queer Diversity Politics at UC Berkeley“. 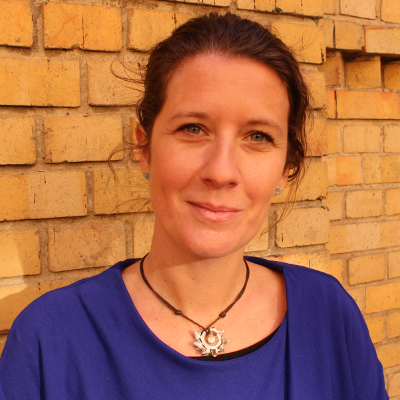 Before joining Citizens For Europe she worked as a researcher at the Department for Sociology at the Freie Universität Berlin on a project on age and gender. Here she gained broad experiences in conducting qualitative interviews. Lucienne is a qualified social justice and diversity trainer. Former clients include the Graduate School Minor Cosmopolitanisms, the equality officer of the Technical University of Berlin and VIA Hamburg. Lucienne is passionate about finding ways to connect critical race theory and queer politics to challenge institutions. Senior Research Scientist "Advocating for Inclusion"
LUCILE⠀GEMÄHLINGLucile works as project coordinator in the team "Empowering Civil Society and Strengthening Solidarity across Europe". They mostly manage the action fund ViRaL - Strengthening Diversity, Combating Racism, Engaging Locally. Lucile grew up in Lyon where they started their studies in Geography and Social Sciences and later lived and studied in Bremen, Paris and Berlin. They were a staff member of European Alternatives from 2013 to 2015. 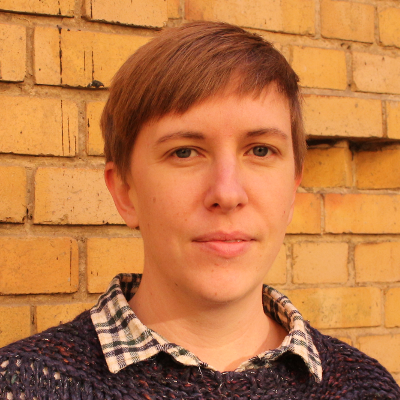 Lucile currently studies Creative Writing at the Alice Salomon-Hochschule and offers freelance redaction and translation services. Project Coordinator "Empowering Civil Society"
JOSHUA⠀KWESI⠀AIKINSJoshua Kwesi Aikins is a Senior Research Scientist at Vielfalt entscheidet - Diversity in Leadership. He accompanies our research and consulting projects with a human rights-based, racism-critical approach and, in addition to his methodological skills contributes his knowledge in the field of open-source solutions to the innovative handling of scientific challenges. His conceptual and theoretical analyses, as well as the application of innovative methods, ensure the quality of our research from a perspective critical of discrimination. Kwesi develops various focus groups, simulation games and expert* supported formats for the qualitative recording of discrimination dynamics and empowerment strategies in the cultural sector. Starting from his two years as coordinator of a parallel report to the UN Committee on the Elimination of Racial Discrimination (CERD), he designed the methodological foundations and accompanied the implementation of the collection of anti-discrimination and equality data among executives of the Berlin administration. He has published, among other things, on appropriation and resistance in youth cultures, the everyday presence of the colonial past, anti-discrimination and equality data, and post-colonial criticism. 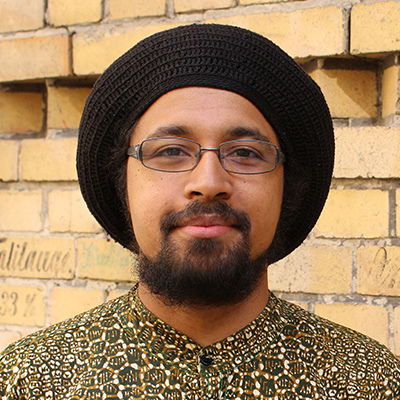 As a member of the advisory board of the Initiative Schwarze Menschen in Deutschland, he advocates comprehensive empowerment and anti-racist policies. Kwesi holds a doctorate from the University of Kassel, where he teaches decolonial perspectives on development and indigenous political authorities in Ghana. CHARLOTTE⠀BECHERTCharlotte joined the team "Empowering Civil Society and strengthening solidarity across Europe" in spring 2018 as a student assistant. She is especially involved with our action fund ViRaL project. 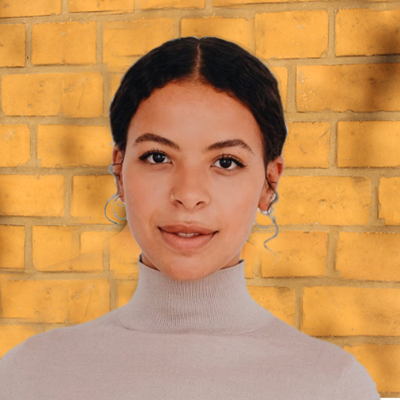 Charlotte is currently working towards a bachelor’s degree in Political Science, Sociology and European Ethnology at Humboldt-University Berlin and has studied European Studies at King’s College London. She is passionate about anti-racist endeavors and European politics, in academics and well as activism, with a special interest in postcolonial thought and theory. Besides CFE, she works at the Institute for European Ethnology, where she holds the position of a lecturing tutor and assists in teaching. Prior to this, she has worked as a student assistant for Deutsche Welle TV and interned at the Mediendienst Integration in Berlin. Student assistant "Empowering Civil Society"
DENIZ⠀YILDIRIM Deniz Yildirim is a Senior Research Scientist in CFE’s Vielfalt entscheidet – Diversity in Leadership team. Deniz has a deep understanding of the intersection of policy processes on the parliamentarian level, grassroots initiatives and data driven policy making. She was a Lead Staffer in the Parliament of Berlin and has deep insights into diversity processes and the mechanism of racial discrimination and community empowerment. 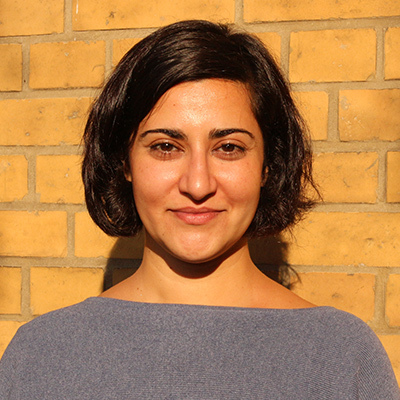 Deniz has six years experience of research for the University of Duisburg-Essen, University of Kassel, DIW’s Socio-Economic Panel (SOEP) and the Centre March Bloch combining quantitative and qualitative analyses in the field of discrimination, migration and data science. Her current research focuses on measuring social inequality and stratification and is inspired by social justice theories and the fight against racial discrimination. Deniz holds a master’s degree in Sociology – European Societies from Freie Universität Berlin. NAOMI⠀BECHERT Naomi Bechert supports the team of "Vielfalt entscheidet – Diversity in Leadership“ as a research assistant. She graduated with a bachelor degree in psychology from Albert-Ludwigs University Freiburg in 2015 and is currently enrolled in the master program "Communication in Social and Economic Context" at University of the Arts Berlin. Before working at Citizens For Europe, she gained work experience in PR, event management and networking in the cultural and creative industries at u-institut für unternehmerisches Denken und Handeln e. V. Her special interests lie in diversity in the context of arts. In addition to her commitment to educational work and empowerment at AfroPolitan Berlin, she is also involved in the creative mediation of racism-critical and postcolonial issues. Research Assistant "Advocating for Inclusion"